Because of the deforestation of tropical rainforests in Brazil, significantly more carbon has been lost than was previously assumed. As scientists of the Helmholtz Centre for Environmental Research (UFZ) write in the scientific journal Nature Communications, the effect of the degradation has been underestimated in fragmented forest areas, since it was hitherto not possible to calculate the loss of the biomass at the forest edges and the higher emission of carbon dioxide. The UFZ scientists have now closed this knowledge gap. According to their calculations, the forest fragmentation results in up to a fifth more carbon dioxide being emitted by the vegetation. These losses of the differently fragmented and differently sized forest areas were determined in comparison to large, unchanged forests in the tropical rainforests in the Amazon and in the Brazilian coastal tropical forest Mata Atlântica (Brazilian Atlantic Forest). The scientists defined a strip of 100 meters that runs from the edge of the forest into the inner forest as the peripheral area. The consequences for the trees at the newly created edges of the forest are known. The climate conditions change significantly: The sun’s rays are stronger, the temperatures rise and there are areas where the wind is provided with a more effective target. This means that stress increases for trees in peripheral areas. Especially the larger specimens die off. “Tree mortality increases, so that they can’t store as much carbon as healthy trees in the center of the forest, the core area” says Dr. Sandro Pütz, the main author of the study. In order to calculate these degradation effects, the UFZ scientists used the forest simulation model FORMIND. This makes it possible to determine the percentage loss of carbon of forest fragments of different sizes. According to this, the percentage loss of stored biomass rises in inverse proportion to the size of the remaining rest of the forest. It is only when a forest area of 10,000 hectares is reached that the percentage loss recedes to almost zero depending on the shape of the forest fragment. The UFZ scientists also used satellite images to analyze how the tropical rainforest is spatially distributed in the Amazon region and the coastal tropical forest. 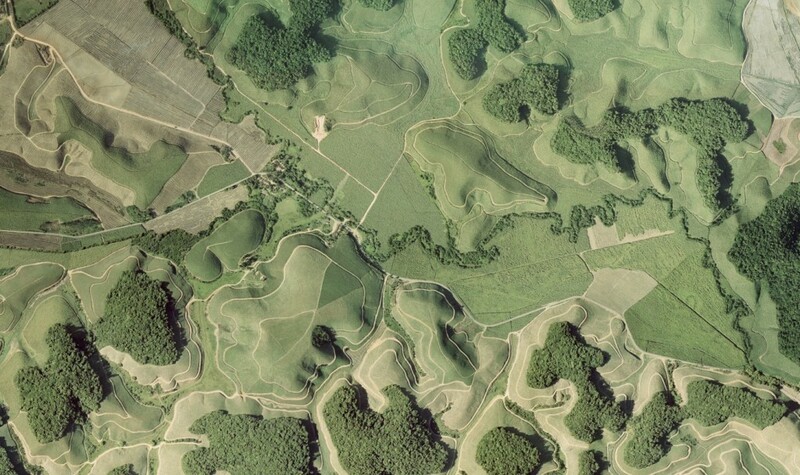 To take as many small forest areas as possible into account, they worked with a very high resolution of up to approx. 30 meters: “In science, this is the processing limit, since the data volumes for the Amazon are very large,” says UFZ scientist Prof. Dr. Andreas Huth. According to the records, the coastal tropical forest with a total of eleven percent of its original surface area only takes up 157,000 square kilometers and is split into 245,173 fragments. 90 percent of the forest remains are smaller than 100 hectares, which means that they have very many edges. A total of 46 percent of the forests in the Mata Atlântica lie in these peripheral areas. This has certain consequences: Due to the changed microclimate at the forest edges, more than 68 million tons of carbon are lost in ten years. “This is an enormous loss in relation to the small total area of the Brazilian Atlantic Forest,” Pütz concludes. The 3.1 million km2 of the Brazilian part of the rainforest in the Amazon consists of over 300,000 forest fragments. However, the peripheral areas only amount to about seven percent of the entire area. This means that the additional loss of carbon in the entire rainforest of the Amazon due to the peripheral effects amounts to approx. 600 million tons in ten years. For the first time, the UFZ researchers also calculated how much this border effect would affect the storage of carbon in tropical forests worldwide. Currently, there are 830 billion tons of carbon in the atmosphere. Every year, the carbon increases by four billion tons. A quarter of this is caused by deforestation around the globe. Because the calculations of the UFZ model indicate that ten percent of the forest areas in the tropics worldwide lie at the edges of forests, these degradation effects result in an increase of up to 0.2 billion tons of carbon getting into the atmosphere per year. This share has so far not been included in the carbon balance calculations. “It is a forgotten process in the global carbon circulation of the vegetation,” Huth states. This aspect has been not directly included in the calculations of the IPCC (Intergovernmental Panel on Climate Change). “However, this effect should urgently be taken into account,” the ecologist demands. 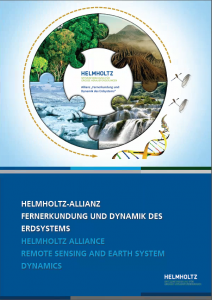 The UFZ scientists’ results are also interesting for practical aspects in climate protection policy. On the one hand it makes sense to require a minimum size of at least around 10,000 hectares for forest island areas because the relative loss of carbon is only minimal at the edges at that size. On the other hand, the peripheral areas and not the interior parts of forests should be used for forestry or agriculture in future, since the loss of biomass in these areas does not have as much of an effect. For the first time, this examination shows a methodical way in which ecological effects in small areas can be used for large-scale environmental assessments. Sandro Pütz, Jürgen Groeneveld, Klaus Henle, Christoph Knogge, Alexandre Camargo Martensen, Markus Metz, Jean Paul Metzger, Milton Cezar Ribeiro, Dantas de Paula, M. & Andreas Huth. Long-term carbon loss in fragmented Neotropical forests. Nature Communications 5:5037 | doi: 10.1038/ncomms6037 (2014).